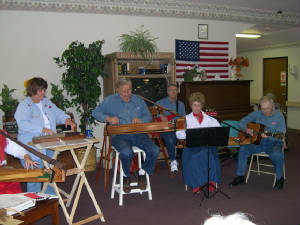 Brazos Valley Dulcimer Club in the Granbury, Glen Rose, Stephenville area. 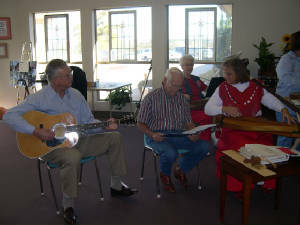 This group gives people who love the sweet strings of mountain music a place to play and grow as a musician. 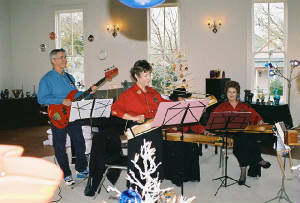 Our goal is to enjoy playing dulcimers and other stringed instruments and pass on the music to others. Our purpose is to jam and play in a casual setting and to share with others tips and friendships. There are no dues and few rules. Anyone can join. Passing Down the Music Festival to be held at Plaza Square Open Air Theater and Tarleton's Langdon Center in downtown Granbury the first weekend in November.